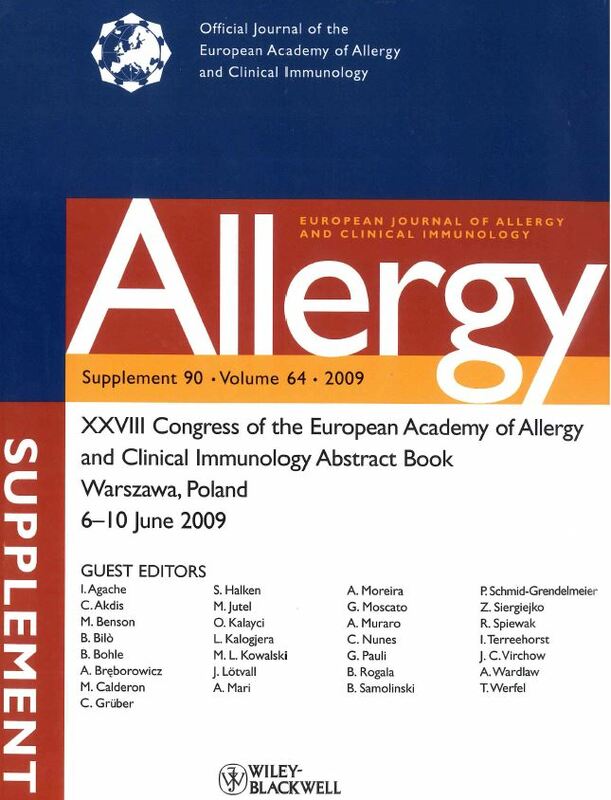 Berardi, L.; De Amici, M.; Vignini, A.; Torre, C.; Mosca, M.
The aim of this study was to evaluate whether food intolerance is associated with cutaneous diseases, such as Chronic Urticaria and Angioedema, and itching and dermatitis, and to evaluate the diagnostic value of Alcat testing in food intolerance. The Alcat Test electronically measures volume shifts in peripheral blood cells following incubation with food antigens. Results were expressed in terms of percent change for cell volume and number. A group of twenty patients (13 females and 7 males) affected by cutaneous diseases, and presenting with Chronic Urticaria (1%), itching (2%) or Dermatitis (17%), with negative allergic tests (prick and/or rast) were Alcat tested. No subject was currently treated with systemic corticosteroids, antihistamines and anticoagulants. We lost six patients during follow-up, the remaining subjects were Alcat tested and answered a survey regarding a tailored (diet based on Alcat Test results) two month elimination diet. 86% exhibited a dramatic improvement in symptoms, while 14% showed no change or did not follow the diet. The Alcat test appears to have diagnostic value in detecting food intolerance, but controlled randomized studies with a longer follow-up are necessary to confirm the clinical value of the Alcat test.